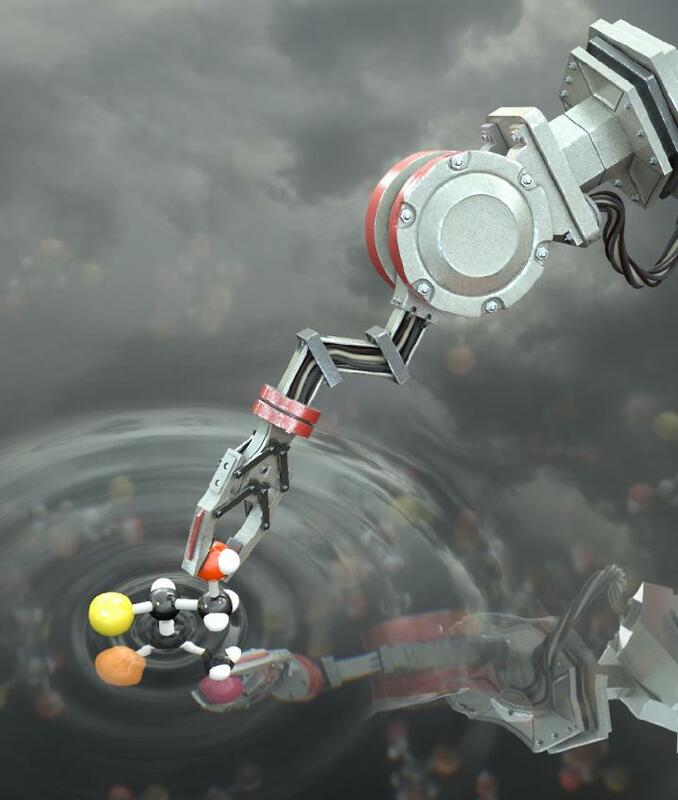 Scientists at The University of Manchester have created the world’s first ‘molecular robot’ that is capable of performing basic tasks including building other molecules. The tiny robots, which are a millionth of a millimetre in size, can be programmed to move and build molecular cargo, using a tiny robotic arm. Each individual robot is capable of manipulating a single molecule and is made up of just 150 carbon, hydrogen, oxygen and nitrogen atoms. To put that size into context, a billion billion of these robots piled on top of each other would still only be the same size as a single grain of salt. The robots operate by carrying out chemical reactions in special solutions which can then be controlled and programmed by scientists to perform the basic tasks. Professor David Leigh, who led the research at University’s School of Chemistry, explains: ‘All matter is made up of atoms and these are the basic building blocks that form molecules. Our robot is literally a molecular robot constructed of atoms just like you can build a very simple robot out of Lego bricks. The robot then responds to a series of simple commands that are programmed with chemical inputs by a scientist.